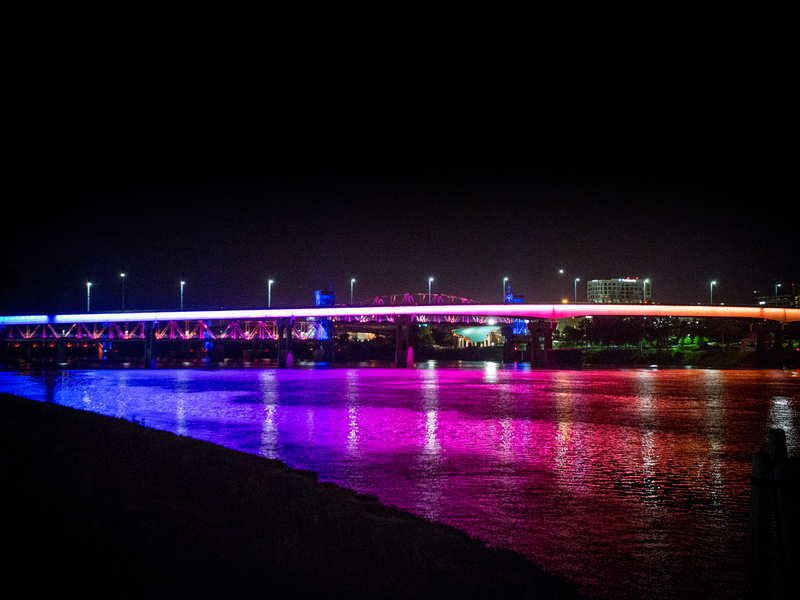 Three bridges spanning the Arkansas River between Little Rock and North Little Rock were illuminated in December 2013, thanks to a gift from Entergy Arkansas and the Entergy Charitable Foundation. In addition to Entergy, the cities of Little Rock and North Little Rock, as well as the Clinton Foundation, the Pulaski County Junction Bridge Authority, Philips Lighting Company and Koontz Electric invested in the $2.4 million project. Philips Lighting, which has installed lighting on several landmarks throughout the world, provided the LED lighting for the three bridges. 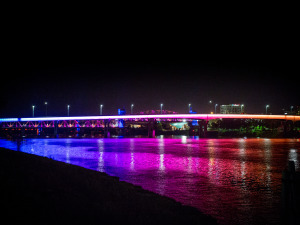 On December 19, 2013, officials joined President Bill Clinton and “flipped the switch” on the three bridges and celebrated the official illumination at First Security Amphitheater in Riverfront Park.